Back to the post. Before you start getting (naughty) ideas in your head with respect to the post title, let me hurriedly clarify that I'm referring to a night filled with fun. Stop right there! Fun yes, but the other kind. Where you let your hair lose over a game of cards, with a group of people, some of whom you might have just met but who become your buddies by the end of the game. Poker buddies. And the use of the word shameless was intentional, coz only shameless bluffing can get you through a game such as poker. After a long time, I had a chance to shuffle. Thanks to one of my dear friends. With a toddler on the scene, a night out is out of question, and so Mr. A and I made an early exit. But whatever time we managed to spend, we enjoyed thoroughly. Some people call it gambling and probably even shun it. But when it's just a group of friends, having some good times, with a small restricted pot, I wouldn't call it so. It only makes the game authentic and encourages every player to play with all seriousness. Doesn't it? I remember distinctly how as kids for us, every summer and Diwali vacation would include cards as one of the games on the agenda. 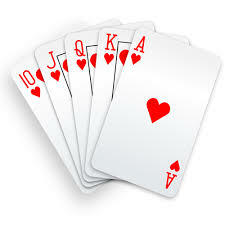 Like every other kid on the block, I started off with simple games, 5-3-2, 7-8, and moved on to something we call Mendhi Kot back home, and other stuff like Not at Home, Bridge, 7 of Hearts, etc. What was more fun was the fact that my grandmother would be one of the key players in our games. So we didn't always need friends to complete the minimum required number. It would very easily become a family game with me and my two siblings along with grandma. And all of this created a bank of fond memories, of friends, family and cousins. There was this game Bridge which my grandfather used to enjoy apparently, in his day, with his friends on a relaxed Sunday. We've heard some interesting stories about that from him and his offspring. I've seen some parents deter their children from engaging in a game of cards. To such adults, here is a word of friendly advice. Playing cards has its own benefits, even more so in today's age and time. Imagine your kido actually sitting down and playing quietly, without really fidgeting with his phone or tablet or laptop! A scene difficult to fathom but actually possible with cards. And it's not only this, he'd learn healthy rivalry at an early age, not to forget winning and losing gracefully. Add to it strategic thinking and numerical ability. Of course, there should be no money involved, that goes without saying. In fact even as adults, I've played many a games where we didn't play for money but just for pure entertainment. Most of my card sessions have been such. So it's totally upto you, you could simply leave out the money factor if that bothers you, or makes you feel it could get out of control. Coming back to my night of fun. I was playing cards after ages. And I lost after ages. But it didnt really matter. I enjoyed. It was a good stress buster. That won't be the case of course if the stakes are high, so you need to bear that in mind :). Also the night turned out to be pretty educational and informative in a different way. After a relay of Hindi and then some punjabi songs (which was thanks to our host and another friend, who had to translate them for us), we were then treated to some utterly nonsensical and downright disgusting collection of songs, one of which actually goes by the title of 'the worst dance video you would ever see'. We almost died laughing. So get together, get playing. And if your pack of cards are lying tucked away at the bottom of some drawer, out of sight and out of mind, hunt them down and get rolling. Was good fun. Need a repeat shortly.